Moving house undoubtedly comes with a multitude of expected (and unexpected) stresses & strains... Organising your utility bills needn't be one of them! We understand that you've got your work cut out studying so the last thing you want to worry about is budgeting to pay utility bills every month or be chasing around that one housemate who is always going to sort out the money out 'later'. .
That's why all large Aston student properties in Leeds have the option of fixing your monthly bills by including broadband and all your utility bills in with your rent. Still not convinced? Our all inclusive rent options are designed entirely for your convenience. 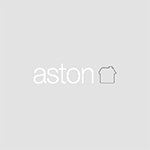 If you would like any additional information or to view a selection of our all inclusive student properties in Headingley or Hyde Park, please contact our team directly on 0113 293 6080 or via email:info@astonproperties.co.uk.